"If you want to wow your family with extra special Easter eggs, this is the recipe for you! 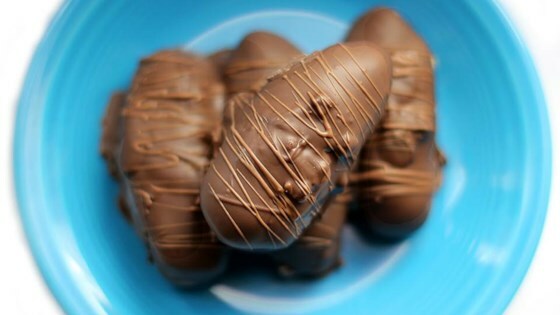 These are peanut butter and coconut cream eggs dipped in chocolate. They are both delicious and beautiful!" I wasn't impressed with these eggs. I think it was the cream cheese.